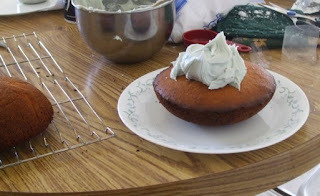 Rebecca J. Carlson: That's No Cake! It's a Space Station! Wow! A cake to make Jonathan truly jealous!! That's the very object in question when his mom (that would be me) went into labor ... was it or was it not fully operational?? were or were not Luke's loyal band of friends about to be obliterated??? And WE had to leave the theater without knowing!!! Well, Dad did make us stop at the bookstore in the mall to buy the paperback on our way to the car (I could hardly believe it!). We somehow managed not only to make it to the hospital on time, but to actually finish reading the book from where we left the movie to the end before Jonathan came... ;-) I am delighted that my enjoyment of making creative birthday cakes lives on in you, Rebecca!! p.s. I personally think it's awesome. It looks great! I made a death star once, the biggest challenge was cutting it and keeping the other half from rolling away. 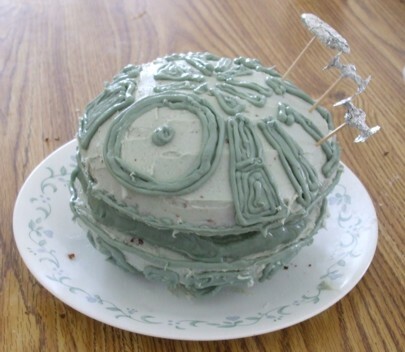 I love the Deathstar cake! You are so creative. 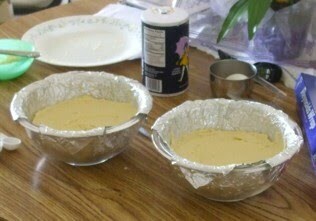 It almost makes me want to try to do more than just pull the cake out of the oven and frost it in the pan. Almost. I know my limits. :) You're awesome. I've seen your cakes, Mati. I bet your death star didn't get mistaken for a sea urchin. 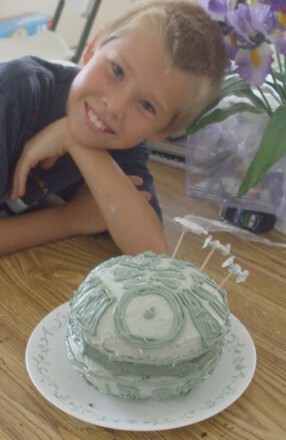 Loved that dalek cake, by the way.